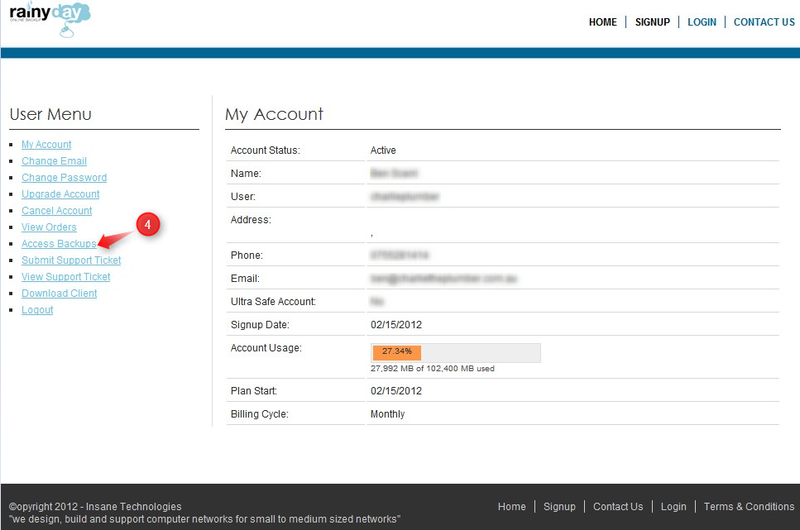 This KB will assist you in logging into your rainy day account and retrieving a file form backup. I will also show you how to check the backup history. 5. 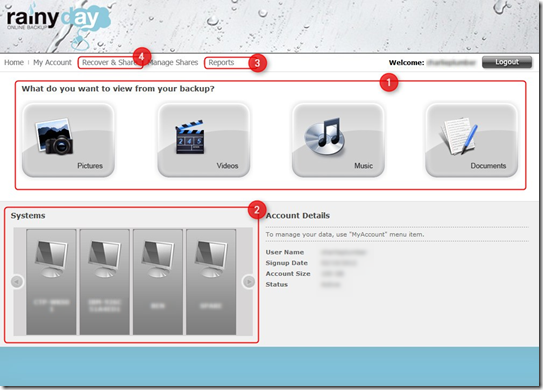 From this page you can View and access various types of files that have been backed up (1), look at the specific computers and files and folders that have been backed up on those Systems (2) and also view reports (3) of backup history and machine backup details. The easiest way however is to search a file that you require. To do this go to Recover & Share 4. 1. 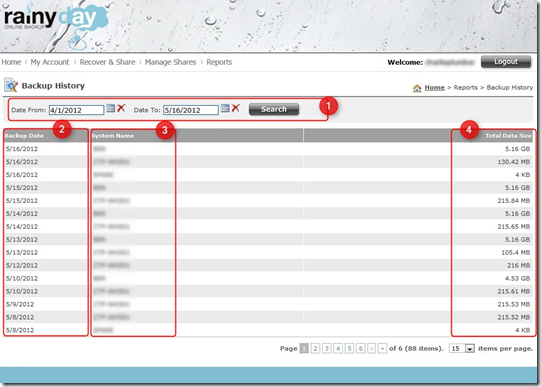 From the Recover and Share (1) drop down menu select Search (2). 2. 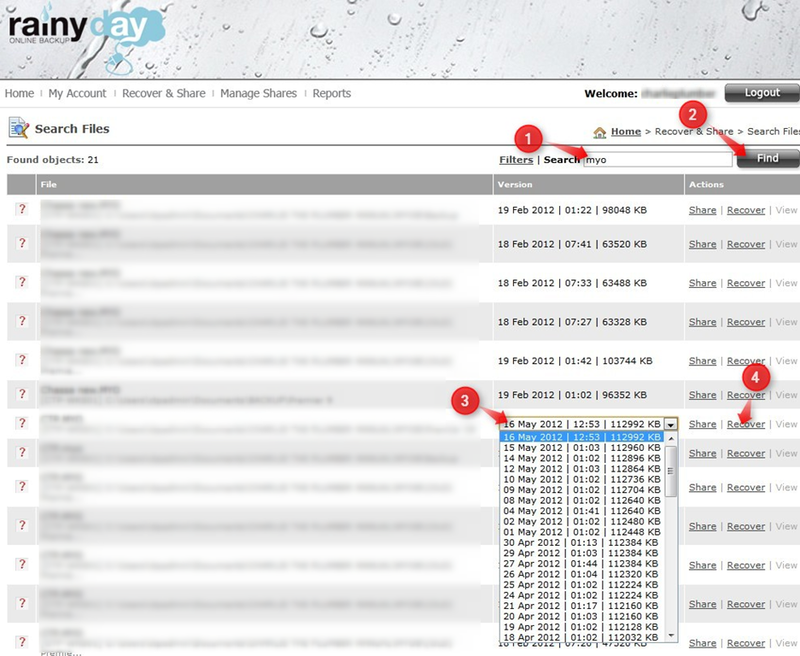 In this example I have searched for the MYOB company file by searching myo (1) and clicking Find (2). The most files that have been backed up will be dated the original date they were backed up (as thee files haven’t been changed or updated). Any files that have had changes made to it, a new version of the file will exist and the most current date will be visible. You can select other version of the file by clicking on the Date (3). A drop down menu will appear and from there you can select the version that you wish to recover and click on the Recover (4) link, the file will download onto your computer and from there you can view the file and save it if you need to. 1. 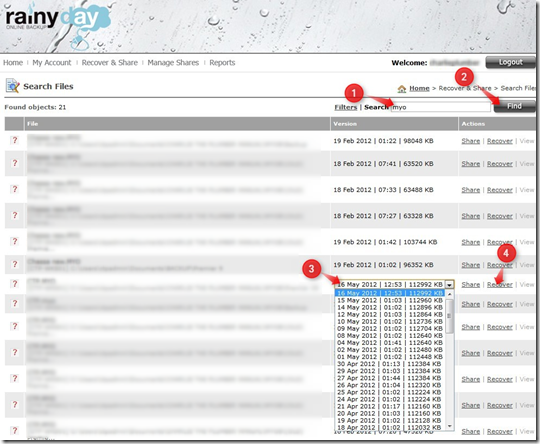 From the Reports1 drop down menu select Backup History2. 2. 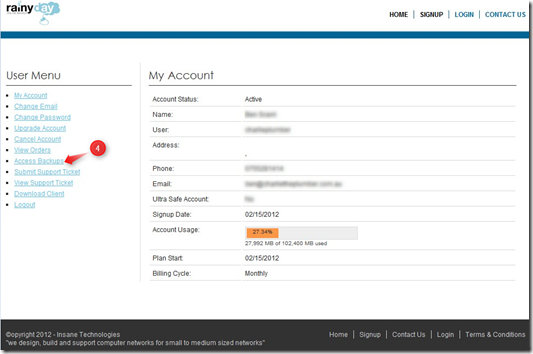 In the Backup History page and select the dates that you would like to search and click on the search button(1). NOTE: this might take some time, please be patient. From there you can see the backup dates(2), which systems backed up(3) and how much data was backed up on those dates(4). 3. 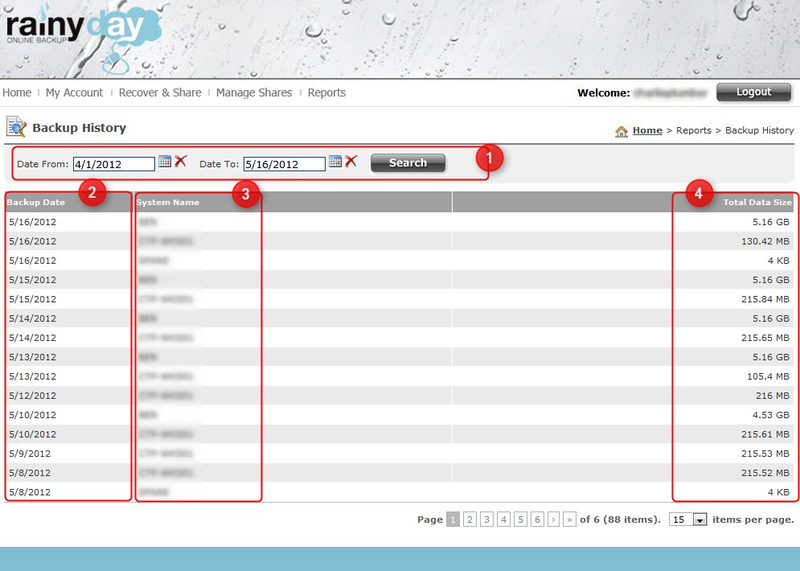 From the Reports (1) drop down menu select Machine Backup Details (2).